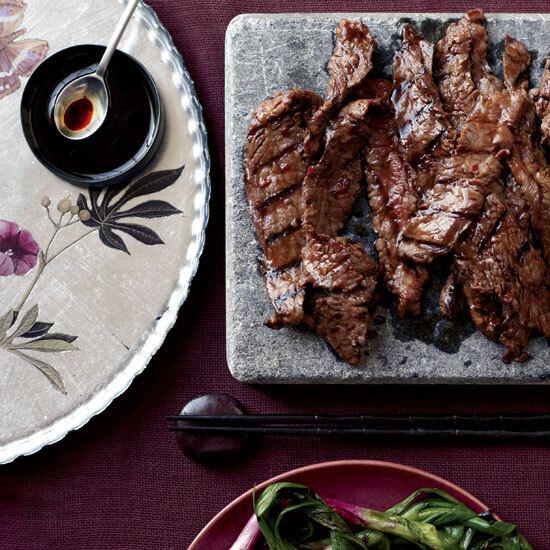 With a bit of confidence and a little know-how, anyone can make Korean barbecue right at home. “Korean food is coming. It’s picking up and it’s gaining momentum,” says Deuki Hong, the 26-year-old star chef of Kang Ho Dong Baekjeong, one of New York City’s most exciting new Korean restaurants. Hong, a first-generation Korean-American who grew up watching masters like Lidia Bastianich and Jacques Pépin on television, is at the forefront of the growing Korean food movement here. Raised in New Jersey, he got his start in the restaurant industry at 15; now, just 11 years later, he’s a rising star in the New York City restaurant scene. But you don’t have to come to New York to experience Hong’s talent—or, for that matter, to eat really good Korean food. With a bit of confidence and a little know-how, not to mention the help of Hong’s forthcoming book (co-authored with Matt Rodbard) Koreatown: A Cookbook, anyone can make Korean barbecue right at home. Here, Hong’s best tips for DIY Korean food. For Hong, there’s no better way to introduce yourself to Korean food than with its barbecue. Not only is it quintessential Korean (“Like a hamburger is to American food”), it’s also just really delicious. You’ll notice some differences between Korean and American barbecue. “While American barbecue relies heavily on the smoke element, the Korean version is focused on sweet, savory, spice.” Hong also points out that American barbecue uses “wood to impart the smoke flavor, in Korean barbeque we focus on the use of charcoal.” Barbecue is a great way to acquaint yourself with simple but complex Korean flavors: The marinated short rib dish kalbi, for example, “is the perfect balance of sweet and savory.” Its sweetness comes from the pureed Asian pears; the savory comes from the soy sauce. In a word, both. (This age-old debate applies to Korean food, too.) Hong is in the camp that “everything tastes better with charcoal,” but owing to New York City law, at Baekjeong they use gas. Even so, Hong has figured out a way to simulate the properties of charcoal without actually using it: “We jack up the flame just to get that char flavor.” For those cooking indoors, many of Koreatown’s recipes also include an option for cooking in a stovetop pan. Korean barbecue is, Hong says, the perfect party food: “I love that it's communal. When I think of Korean barbecue, I think of the grill in the middle of the table, of the meat that's cooked in front of you while you're talking to your friends and drinking. There's no pressure and you're having a good time. I've never had Korean barbecue by myself.” Keep that in mind when you make your first batch, and be sure to invite plenty of friends over for the occasion. Hong’s greatest hope is that “people will start appreciating Korean food a little bit more”—that the more familiar they become with the cuisine, the better they’ll understand the time and care that goes into building its complex flavors. For instance, ssamjang—a spicy, paste-like dipping sauce made from fermented soybean paste, chili paste, sesame oil and garlic—“takes three days to make, from start to finish.” He also hopes that Korean words, still foreign to many Americans, will become a part of our common culinary vocabulary, in the same way that the word “gnocchi,” once limited to Italian-Americans, is now ubiquitous. Want to get really into kimchi? Consider investing in a compact “dorm” refrigerator that you can designate as a separate “kimchi fridge” for your kitchen. This has two purposes in the creation of this traditional fermented side dish. The first, Hong explains, is that kimchi ferments at just over 50 degrees, and most refrigerators are set to 38° or 40°. A designated kimchi fridge can be set to the higher temperature, which will allow the kimchi to ferment at the maximum rate. The second reason is not as scientific as the first: Fermenting cabbage smells. F&W's new series reveals the best ways to maximize your food year through travel, wine, cooking, tech, style, events and experiences. Use #BESTFOODYEAR on Twitter and Instagram to tell us about the ones you want to try. We'll continue to share more tips with the hashtag throughout the year and want to hear about how you celebrate food every day, too.